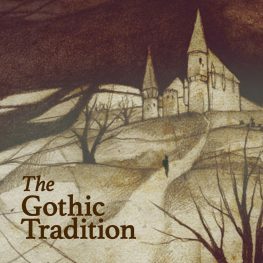 What is the Gothic literary tradition? How is it still used today? The Gothic literary tradition began in the mid-eighteenth century in Europe and lives on in various forms across the globe through contemporary fiction, poetry, art, music, film, and television. Mad scientists, blasted heaths, abandoned ruins, elusive ghosts, charming vampires, and even little green men people its stories. With ingredients such as a highly developed sense of atmosphere, extreme emotions including fear and awe, and emphases on the mysterious and the paranormal, Gothic works tend to express anxieties about social, political, religious, and economic issues of the time, as well as rejection of prevailing modes of thought and behavior. This course will investigate the fascinating and subversive Gothic imagination (from the haunted castles of Horace Walpole to the threatening aliens of H.P. Lovecraft, from Dracula to Coraline), identify the historical conditions that have inspired it, consider how it has developed across time and place and medium, and explore how it has left its indelible imprint on the modern genres of science fiction and fantasy.